The New Balance era has been a very fruitful one for Liverpool. On the pitch, the Reds’ have gone from strength to strength and now see themselves fighting at the top end of the table. 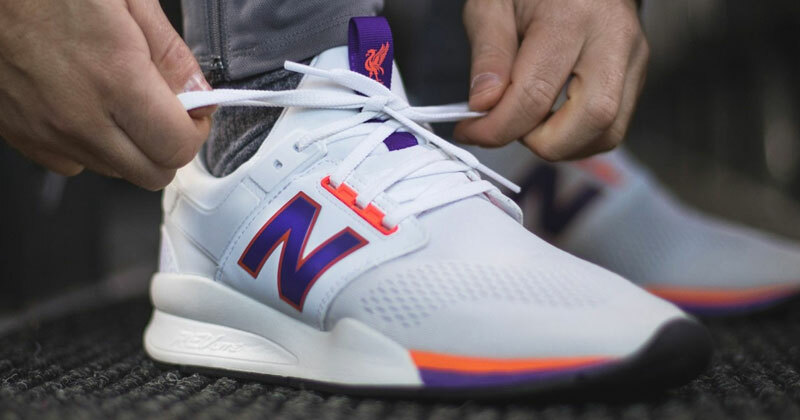 Off the pitch, New Balance have put in extensive work to channel that same energy from games into some quality clothing and footwear for the street. Their latest collaboration is a perfect example of this. 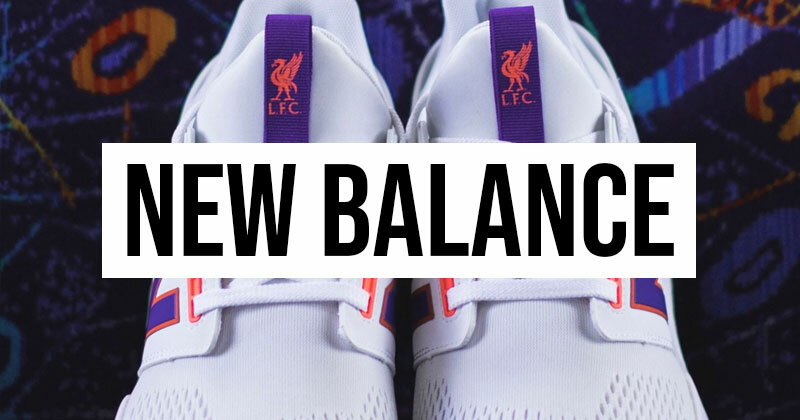 The new LFC 247 sneaker draws inspiration from the colours of the new away kit. Best of all, the colours aren’t simply plastered onto the trainers. Flashes of purple and orange are used tastefully against a white base, creating a classy look which is surprisingly versatile given the boldness of the kit it references. It’s the kind of trainer that’s perfect for showing support for Liverpool, yet at the same time being perfectly wearable whatever the occasion. The LFC 247 sneakers are available now, so don’t waste any time and cop a pair today.